Our role at American Homes is to help you select and customize your new home – which will be built especially for you by one of our four builder partners. Each of these companies has been building system-built (modular) and/or manufactured homes for many, many years, so they’ve got it down to a science! Every home we sell has been built indoors – protected from rain, sleet, snow and critters. Modular homes are constructed to the same exacting codes as stick-built homes and manufactured homes are built to HUD codes. 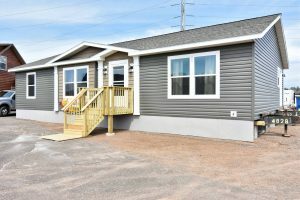 If you’re not sure whether a modular or manufactured home is best for you, you’ll find more details on our FAQ page. Featuring our highest quality and most customizable homes. Celebrating 80+ years of building modular & manufactured homes. Offering high quality, precision-built and energy-efficient custom homes.